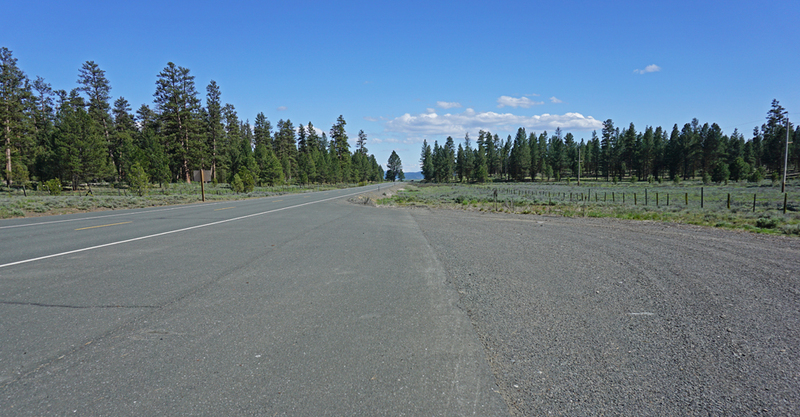 US 395 at one time ran from San Diego to British Columbia. It lies on the east side of the Sierra like a divider. I would like to traverse more of it, having been fond of the California section in-between too foggy-cold and too hot. Dreams happen here. Ghosts and mysteries are allowed to speak. It takes me back to my girlhood when I could hear the calling of nature and even blindfolded see the wavering colors of trees, back when I could sense holes in the substance of day-to-day reality, the grown-up adult kind, where people don’t fly in their dreams and a road is no more than an engineered transportation device. 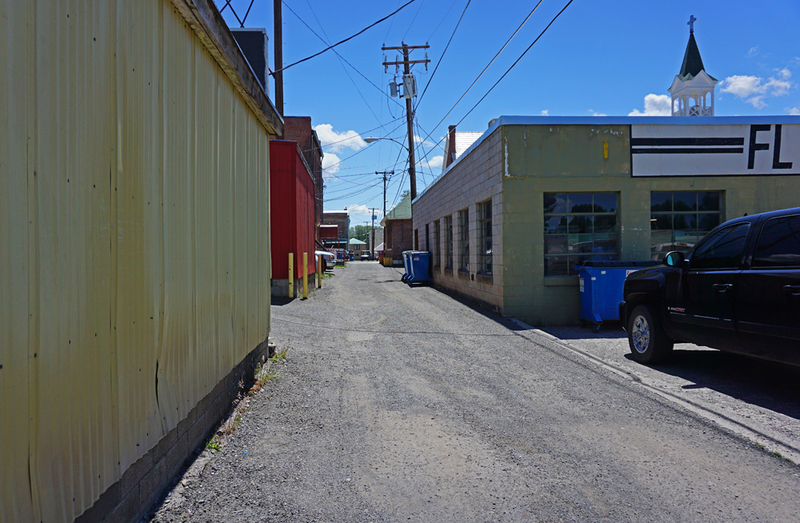 I’d left out the town of Burns, OR, before I’d reached the 2nd part of the 395 south of Hwy 20 and finding Lake Abert and the tiny town of Valley Falls. 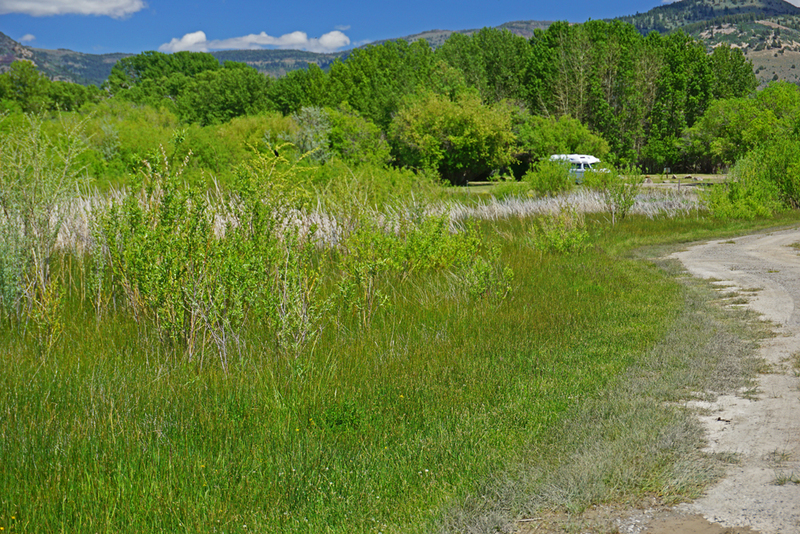 I’d spent the night at the Burns RV Park wanting a shower and a place to wander about, I never did explore the town. 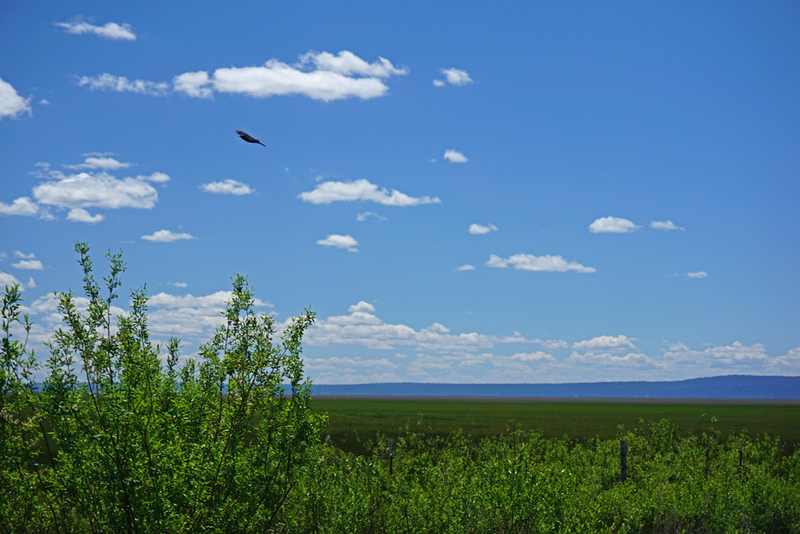 Turns out the area is known for birding with an annual festival and ongoing activities at Malheur National Wildlife Refuge on the Pacific Flyway. I’d missed the annual birding festival in April but could happily see myself seeking birds. 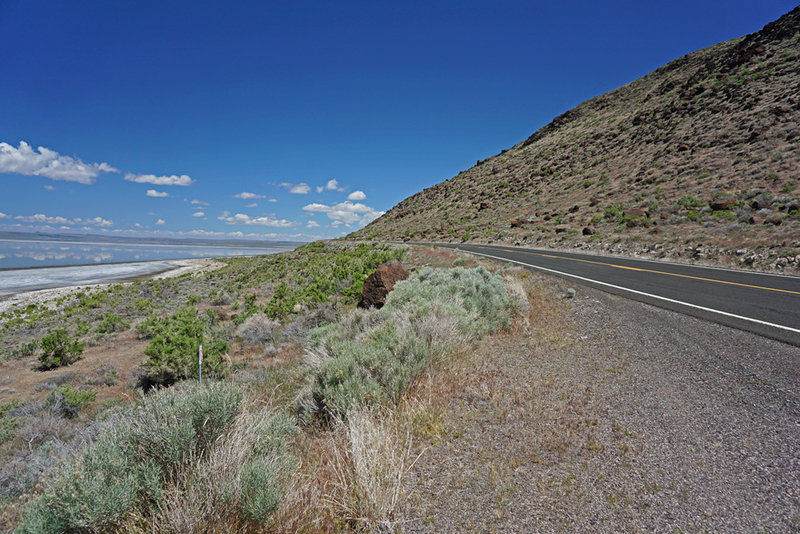 There are many treasures along Oregon’s 395. 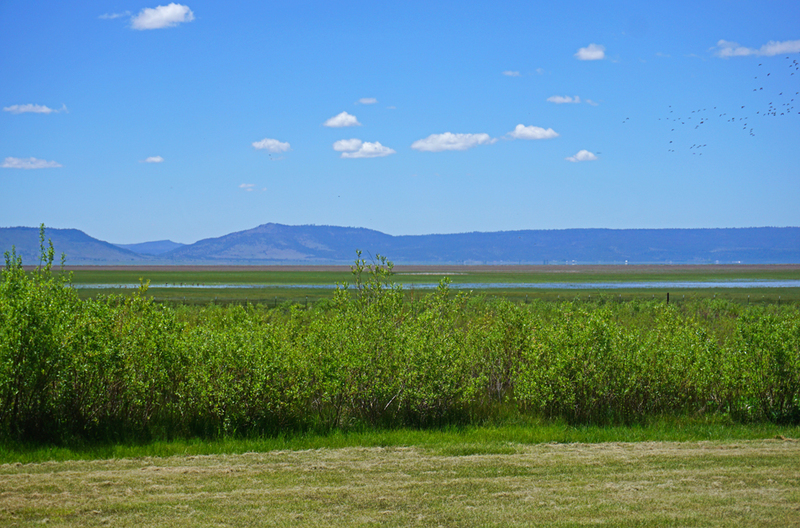 After passing Lake Abert the next day before crossing the California border I stopped in Lakeview, OR for a walk. 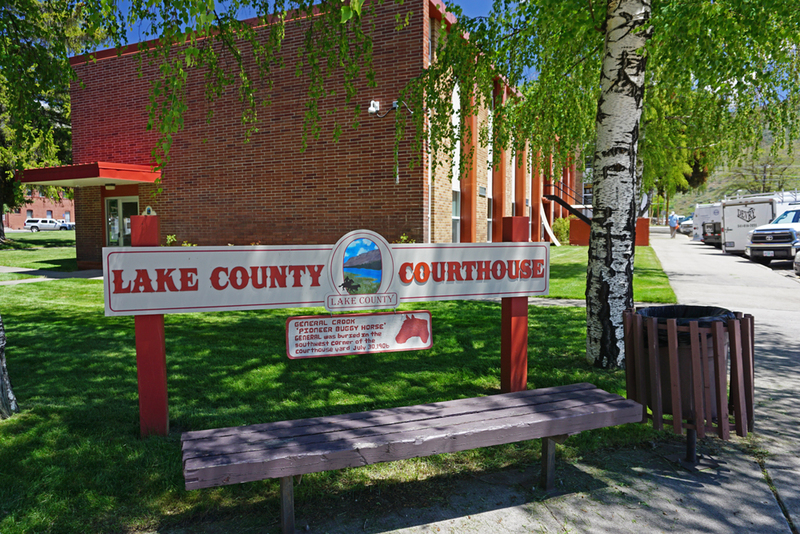 It’s the County Seat of Lake County. 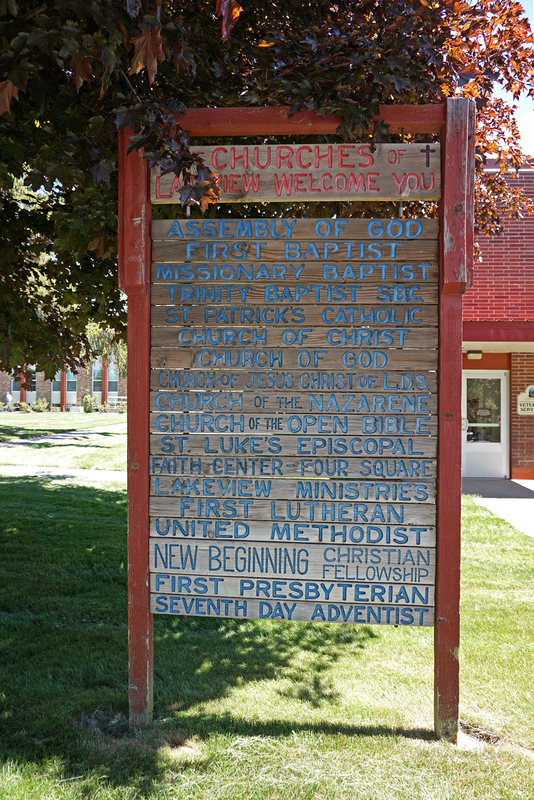 I was pondering the downtown signage of churches near the administration center, taken aback that so many could exist in such a small place when a gentleman stopped to ask if I needed anything. Turned out he was the DA, he told me he loved knowing everyone in town and had returned after working in other locations, pointing out the building where he’d bought his first gun. Maybe he was a hunter, I don’t know. As we conversed he lamented the young people leaving, there didn’t seem to be much to keep them busy, even the theater was defunct, needing extensive and costly repairs. I wished him well and continued my walk, lots of ranches in the surrounding area; the town would make a great backdrop for a movie. How many churches does this small town have? Maybe a good movie set? On the way out there was a fellow herding cows on the road, he yelled at us motorist to go slow although no one was traveling faster than 5 mph, his voice was loud and stern! 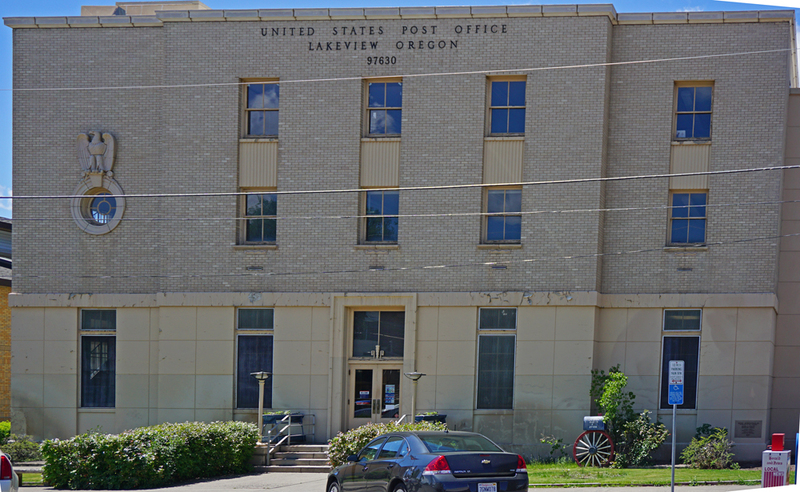 If you click the Lakeview link above be sure to watch the video, a true county town, with a big sign of a tall man waving his pistol. 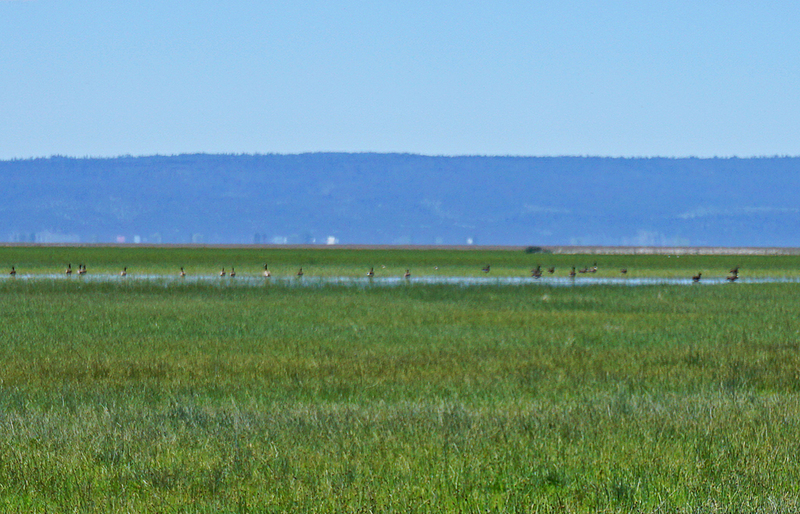 Seems there’s an National Antelope Refuge 65 miles north on Hwy 40. There are also petroglyphs in the area. If you do any of this drive I’d suggest spending a lot more time than 2 days it took me and bring along some cash. The little town where I bought gas was super friendly, like Canada, however they had a terrible time making a phone connection for my credit card, they kept trying while I hung out for a while but in the end I offered cash, you might want to make sure you have a stash for times like that. 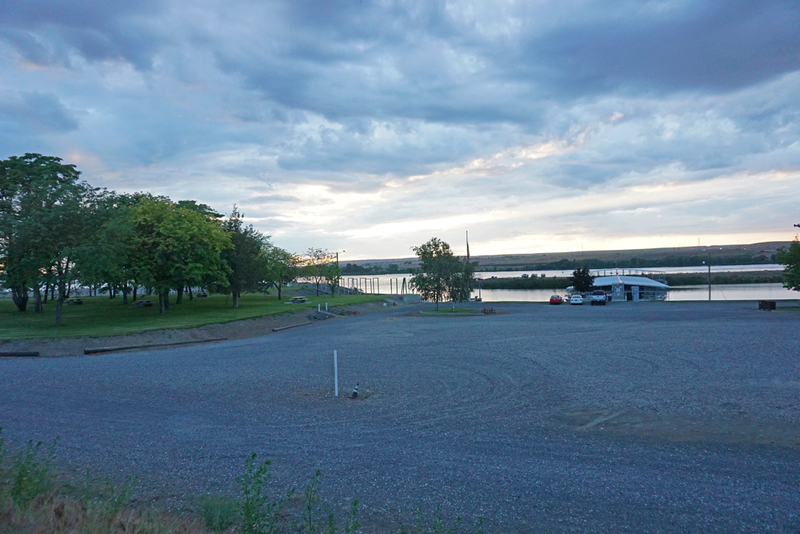 I crossed the border without noticing but I did notice a sign saying Goose Lake State Recreation Area so I turned around back to Oregon and took the short road to the campground. Lots of space, only 1 or 2 sites were being used. 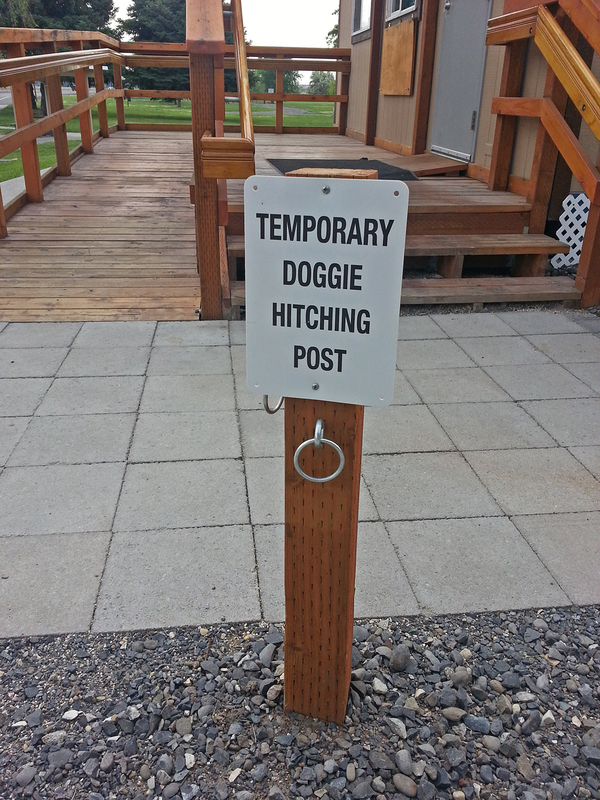 I almost camped there and would have if I’d had my dogs with; instead I drove to the day use area and parked. Wow, there were my birds! Not a human in site. I had to talk myself out of nervousness of being alone, this time on foot. 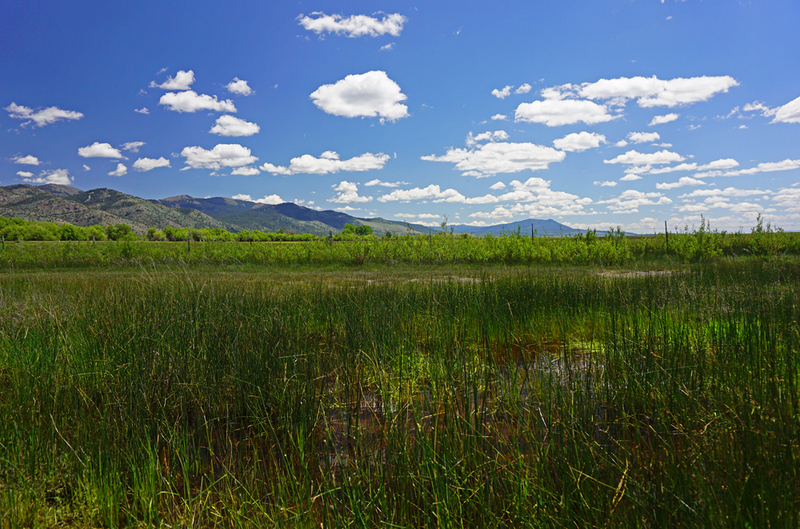 The lake / wetlands was low yet gorgeous and so alive! Goose Lake, low water level. 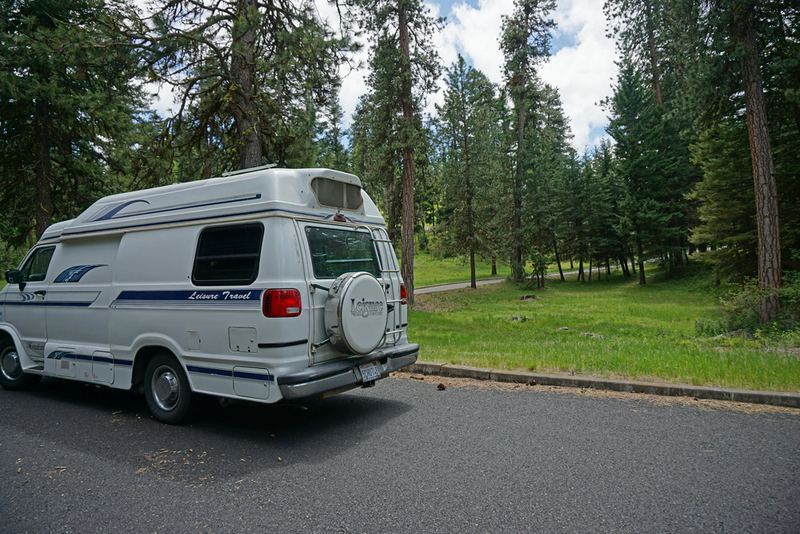 I went on to Susanville to spend the next night, no particular reason, there were many pullouts on the mountain road and campgrounds on side roads. I’m used to having my dogs, we go for long walks and they tell me if there’s anyone around, that’s my only excuse for rushing along and not choosing to stay longer and explore. Drought is very evident in Oregon as in California. I’m more aware of its effect in areas where I know the general pattern of the land. It’s scary how dry and hot everything is, be super careful! CA, OR, WA, Canada, NV, AZ are all short of water. It will be a tough summer, fires are already blazing. I pack a respirator and a few extra breathing masks for those times one has to drive through a fire area along with extra drinking water. I used to love campfires when I was a girl, but they don’t make sense unless you’re truly need one and are practiced in how to build one and keep it from accidentally spreading. Watch out for equipment you might have that creates a spark, remember to check your propane for leaks. Keep the basics right there with you, shovel, lots of water, bucket, fire extinguisher not a bad idea. Clear the area of all debris so that embers can’t catch and never walk away and leave a smoldering fire, re-think the whole thing if its windy. I’ve been known to stop and put out smoldering campfires that others have left behind. If you smoke carry your butts out with you don’t toss them on the ground. Learn about lightning storms… don’t pitch tents near the highest tree, etc.. if you enjoy a few drinks remember safety first … let’s get through this summer as safe as we can. I know why this section of HWY 395 is scant of vehicles and human trespassers; there’s no fast food chains, supermarkets, tourist shops, no big billboards announcing what’s coming up, no cordoned off areas, only forests, mountains, lakes and open land with farm houses and barns, long empty roads with an occasional big truck or a group of loggers, a few fancy cars, occasional motorcycles, truck campers turning on little side roads begging to be explored. Gas up before you start and again when you hit a town, its steep and winding with frequent climbs and descents. 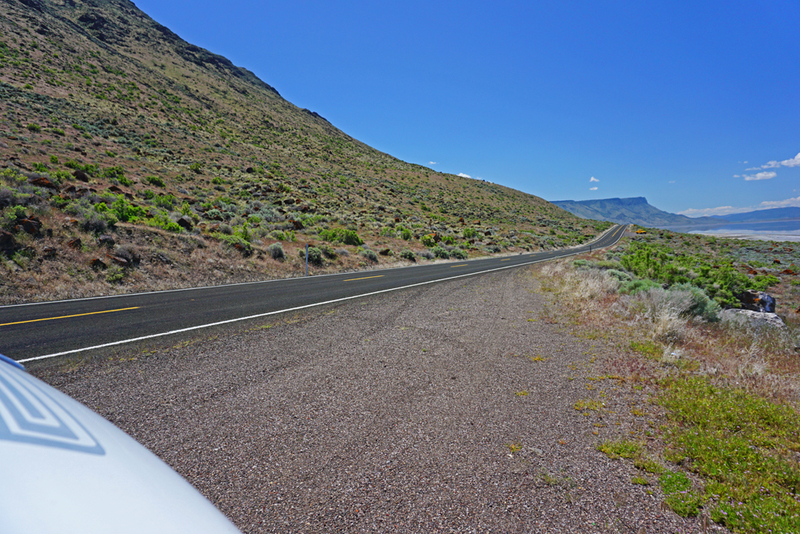 You’ll pass Abert Rim one of the highest fault scarps in the US, basalt lava formation from the Miocene Period (millions of years ago,) as the road moves you across seasonal snowy peaks to alkaline desert scrub. Traveling south wondering if this might be another dimension, I thought of Hwy 97 through Bend, I-5 and the 101, then I sighed in awe. Since I’d never been this way and with no planning to go this way I had no idea that I’d find a beauty road. Trouble plagued this land reshaping it’s climate and available water, as much of the west, as all of our globe, I loved it more for this. 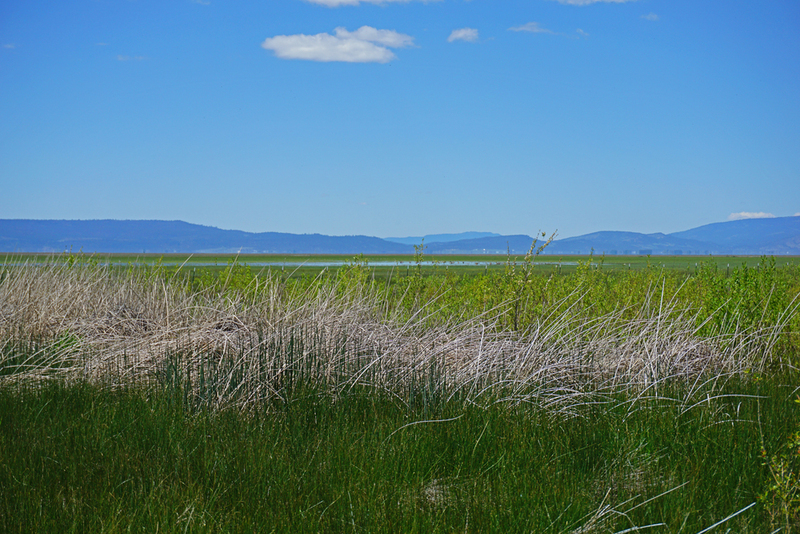 Passing the outskirts of Pendleton and McKay Creek National Wildlife Refuge my adventure began. Some of what I was to see would be Native American land, some Forest Service land, and some private ranches. 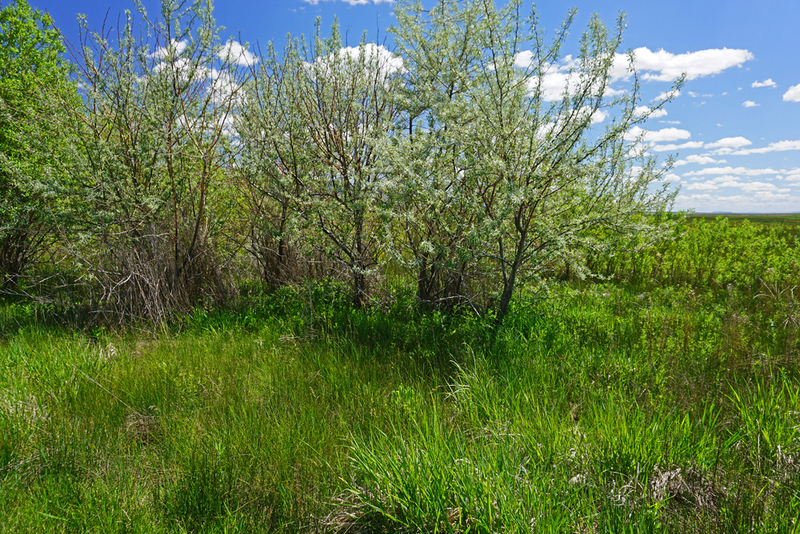 Spring is ideal for this drive except for those seeking isolated winter wilderness. Scanning the Internet for info about this stretch of 395, there’s isn’t a lot in its favor and that’s fine, because it lays without makeup or glitz. This is not a road to travel fast, it’s a soul healing road, with its own voice which if you get out of your vehicle and touch the earth, feel its texture, breathe it’s wind and air, immerse yourself in its particles of light you’ll see it change and may even hear it speak to you. I took some shots, I almost didn’t as it’s not possible to capture the ethereal in a quick pass by point and click. The first bastion of mountain with its covering of trees surprised me, I wasn’t expecting it thinking I’d left the pines behind me. 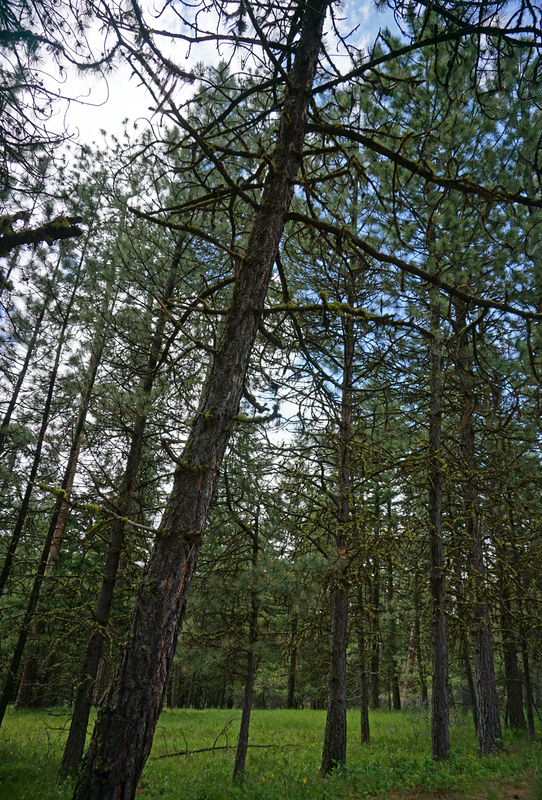 Battle Mountain Forest State Park imparted lush coolness of pondersosa, larch, douglas fir and spruce. If I had any doubt this drive was the right way to go ahead was Ukiah-Dale Forest Scenic Corridor. How could such a name exist! Yet it was so, another crawl up a mountain alongside the John Day River and Camas Creek on the North Fork. Dale Glaser’s home was just outside of Ukiah and Forrest Lewis lived in North Fork. Forrest once met Dale, I’d introduced them in North Fork and we’d gone for a hike in the wilderness near Yosemite, Dale was 62 on that day, telling me he’d never felt better or stronger, I was hobbling with joint troubles and Forrest was still weak from his illness, we were laughing and happy; it was a precious time, the three of us together, helping each other to climb a rock dome. Somewhere nearby there must be a Jolyon town. 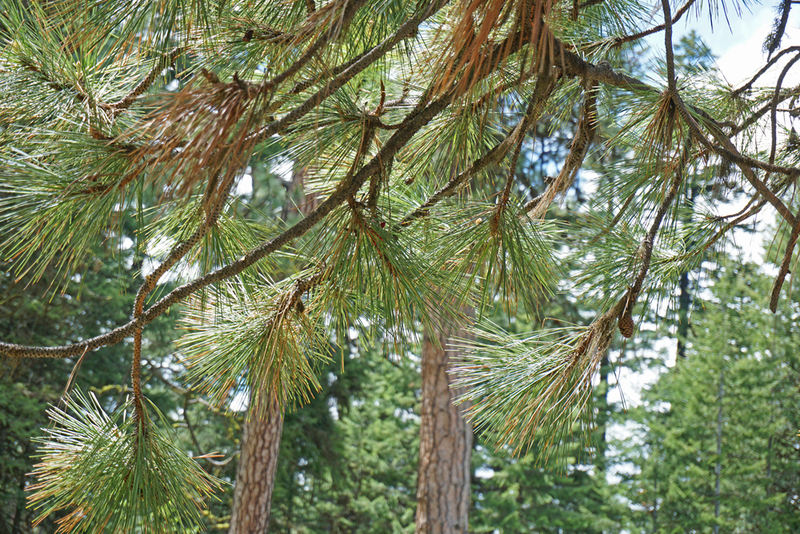 Oregon 395 continues to rise, twist and drop over and over through ponderosa pines, douglas fir, western larch. Along the river are songbirds, deer, elk, fun little roads pointing to lakes and campgrounds, unless I take the roads I cannot know how low the lakes may be but I am aware that everywhere I have traveled is in a semi-state of shock. 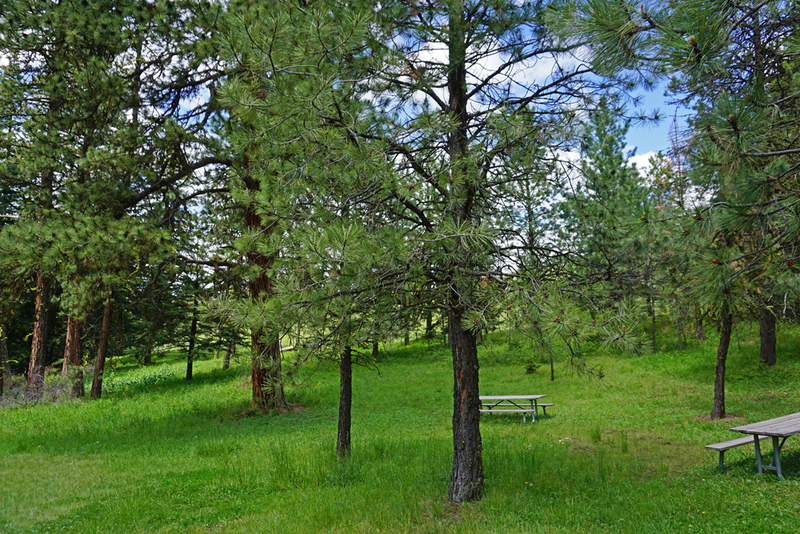 In-between the gatherings of pines are open vistas of scrub and grasslands, ranches for cattle, old barns weathered and picturesque, stunning ranch complexes and a few little towns and a bigger ones on the cross highways with traffic traveling east to west. I know nothing but what I see as I pass of this area, its history and current status. Perhaps there are vineyards here, guest ranches and groups of visitors on tour, certainly in the forest there is camping, fishing, hiking, horses and winter snow play. Passed several of these alkaline lakes in semi-arid landscapes. 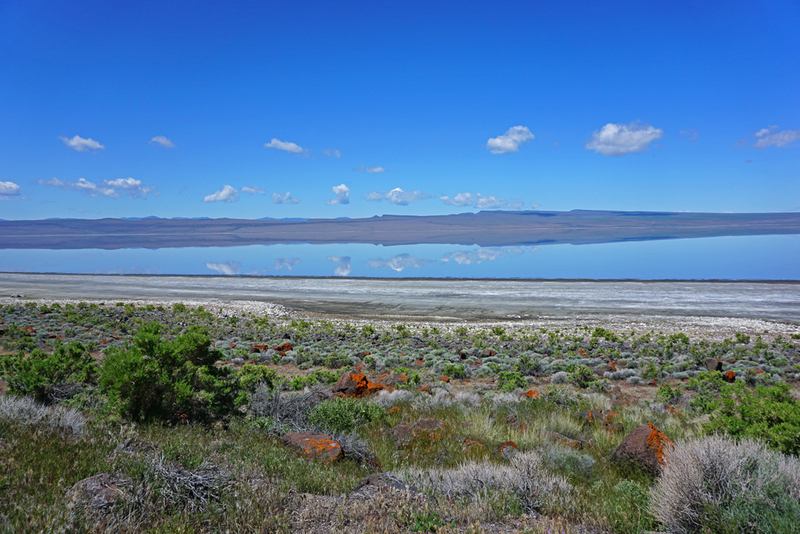 Lake Abert stunned me, it was shock still. I wondered if it was real. 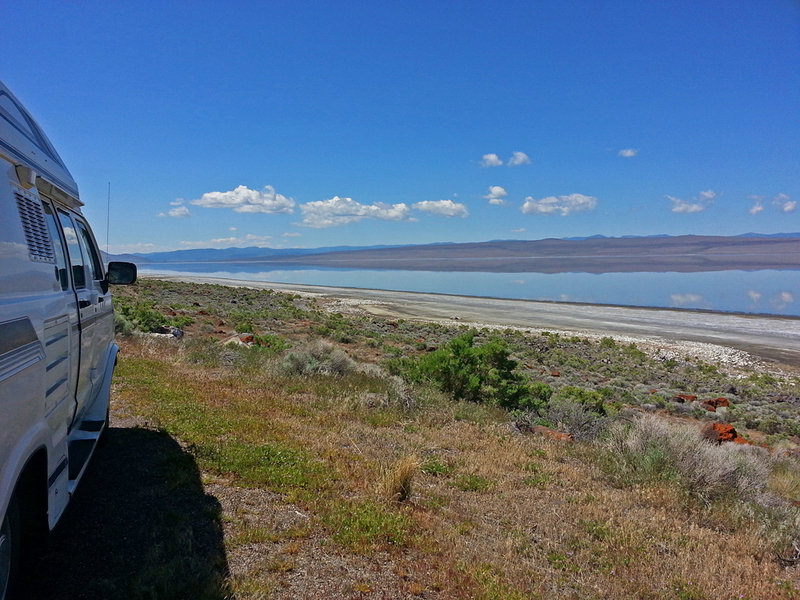 I’d passed a smaller alkali lake that looked like it’d turned to quicksand. 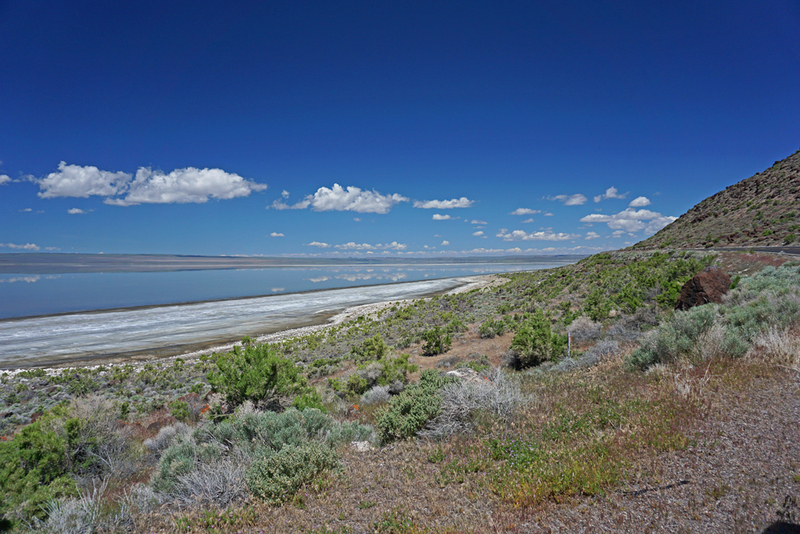 An alkali lake has high alkali content and high salinity, fish cannot live there but brine shrimp normally can. The brine shrimp attract birds; this area is also on the Pacific Flyway and so should be teaming with life. 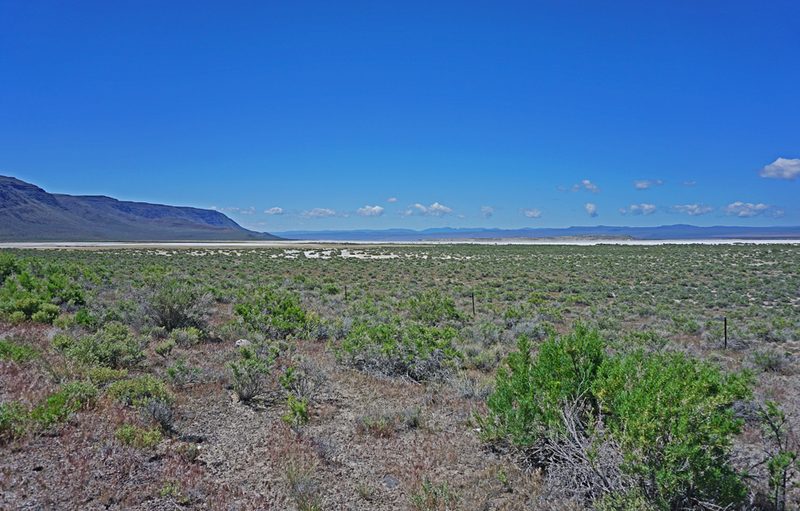 The surrounding is bluebunch wheatgrass, cheatgrass and big sagebrush. I don’t know why this lake called to me, there is something still radiant here; the lake is not suitable for swimming or extended contact but in its current state I think it may be dying. Next post I will cover more of this road. California is close. I’d parked, not where the camp host had suggested, in the back with the nice grassy area and shade tree but right on front of the small cliff overlooking the harbor on a pad of white rock, these sites were around $20 – $25 for power, water, wi-fi, bath/shower… lots of hot water. Walked the waterfront, grass, trees, beaches for swimming, little harbor, lots of happy dogs, made dinner then noticed that I hadn’t talked to any campers and I wondered why. I was keeping to myself, so I walked over to my neighbors asking if I could pet their Keeshonds. Serendipity? They’d camped at Black Island same as me… we talked about the campground, the strange rain and how nice and quiet it’d been. They’d taken the sunset cruise and spent a bit longer than I had. Their rig had crept upwards in size of their RV to over 30 feet to accommodate their dogs. I can understand the wish to get bigger; but all I want is better insulation to keep my dogs comfortable, my own useable shower and solar for extended boondocking, I’m happy in my little space. 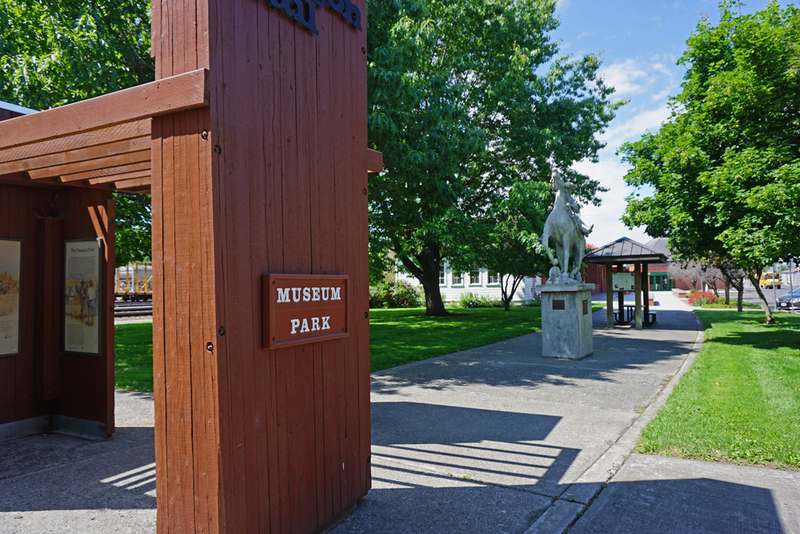 They lived in the Dalles and loved it! I was envious. We couldn’t have a conversation without talking about water. They begged me to move out of Southern California, I wasn’t crazy was I! Anything would be more affordable, but I don’t think it will be possible to escape impact of our changing climate. I read this morning how Canada is worried about water. This year, the Rocky Mountain snowpacks, which usually melt slowly, releasing water well into the summer, have had “a dramatic decline.” This past winter, those snowpacks were as low as 25 per cent of normal measurements, and they vanished quickly in the spring. He said the conditions are “eerily like” what he has projected will occur if a global warming of two degrees occurs, which climate-change scenarios consider likely. “The relatively warm winter and spring in B.C. and Alberta this year has shown … what a future winter will look like,” Dr. Pomeroy said. Friendly and Thoughtful! Thank you Oregon. With an unstable climate there will be lots of surprises, the process of our planet are interlinked, our food bill will keep rising, troulbe will be the norm. Drought also means a lower snow pack, greater avalanche risk, an increased fire season, hungry wildlife, stressed and dying vegetation, more heat, less fog, shrinking waterways and increased susceptibility to flash floods. 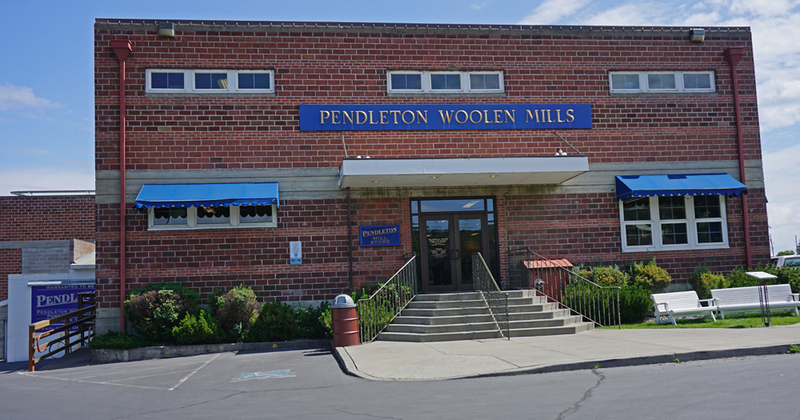 Pendleton, OR From 1868. Lots more to do here than I took time for. 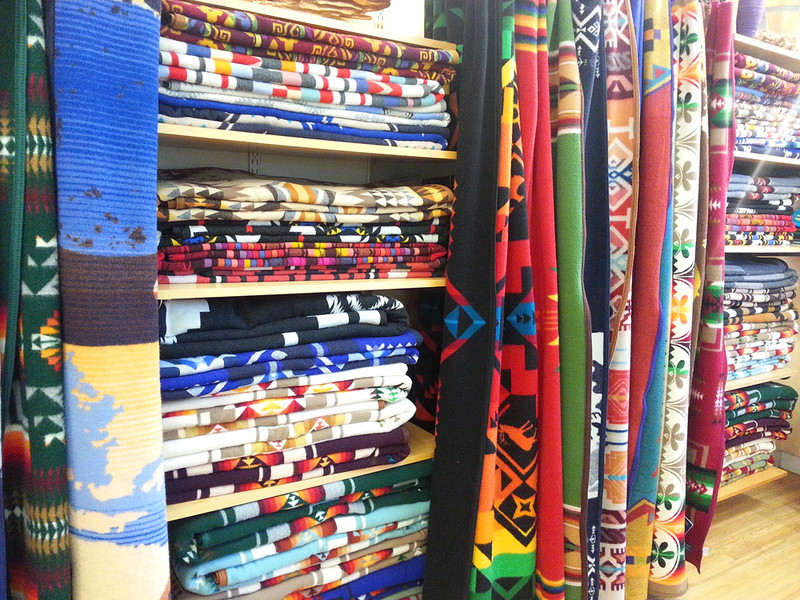 Resisting the urge to go West I headed South and visited Pendleton. I missed the factory tour by 15 min, darn. Wasn’t going to wait for the next one. Items in the store were expensive, even the sale items. 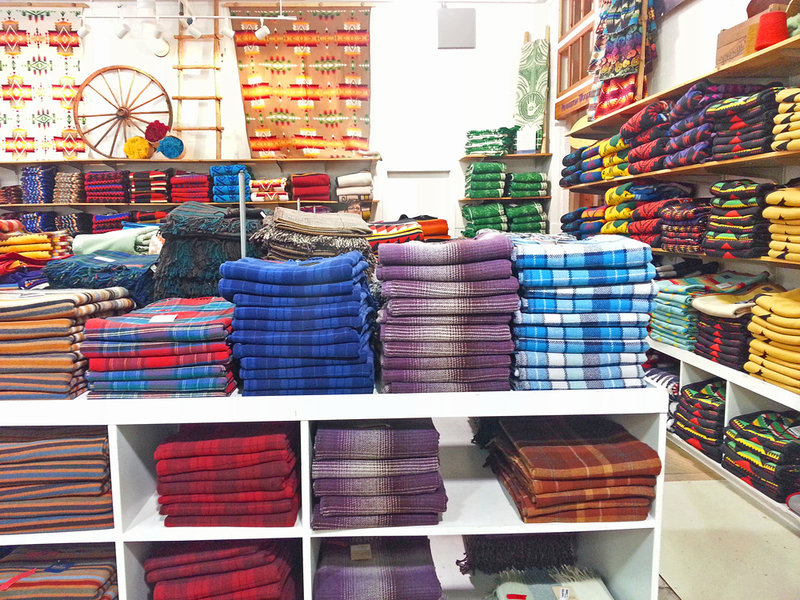 Colorful … in the Sale Room.